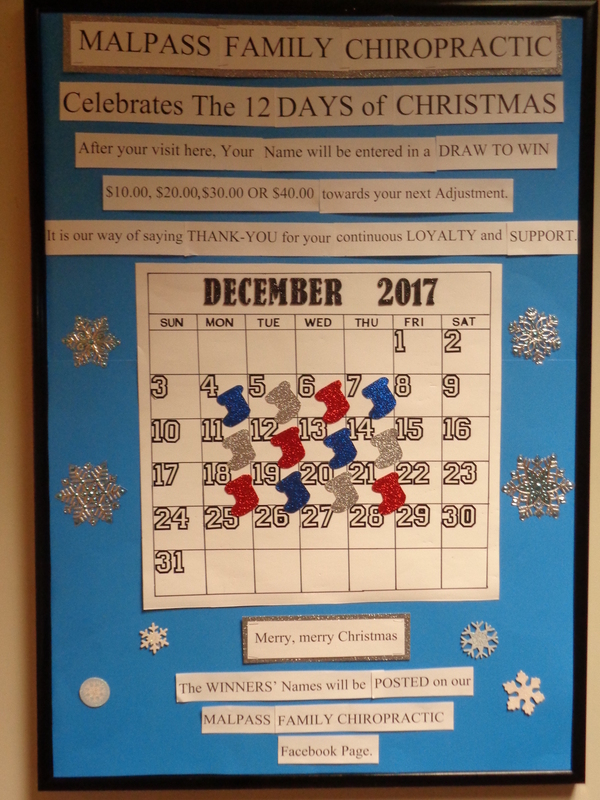 Malpass Family Chiropractic celebrated the 12 Days of Christmas in December, 2017. After every visit, a person’s Name was entered in a Daily Draw to win $10., $20., $30. or $40. towards their next Adjustment. It was our way of saying THANK-YOU to our patients for their continuous LOYALTY and SUPPORT. WINNERS’ Names were posted on our Malpass Family Chiropractic Facebook Page.